Members get 23% Off Most Graded Comics and 45% Off Comics listed as "F to NM" PLUS Member Discount of 10%! Ongoing Ebay auctions for Comics, Magazines, Toys and More! Words and pictures inspired by the endless boxes and crates of comics and stuff piled in our warehouse! Get the details on our FREE membership program here! Did we mention it's FREE!? 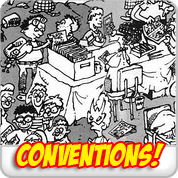 Click HERE for details on upcoming conventions! Selling, Buying, and Trading Comic Books and More! 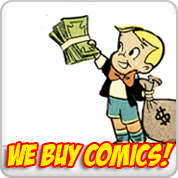 The Best Place to find comics for sale online is right here! 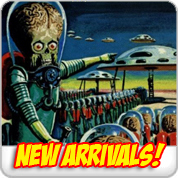 Nostalgia Zone specializes in many comic book genres and titles other retailers often overlook. We carry extensive comic book back issue collections of Underground Comics, Romance Comics, War Comics, Western Comics, Horror Comics, TV and Movie Comics and much more. 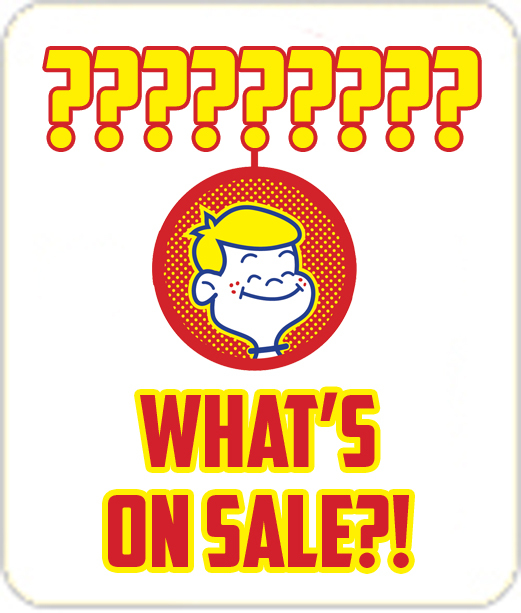 Not only do we carry DC, Marvel and other well-known publishers, but we also have a big inventory of Dell, Archie, Charlton, Disney, Harvey and many more back issues both vintage and modern. We also press and flatten comic books! We welcome customers from all over and ship locally as well as internationally backed up by unbeatable customer service and top-notch packing. Whether you're looking to buy comic books in our physical store or online, there's no need to look further!